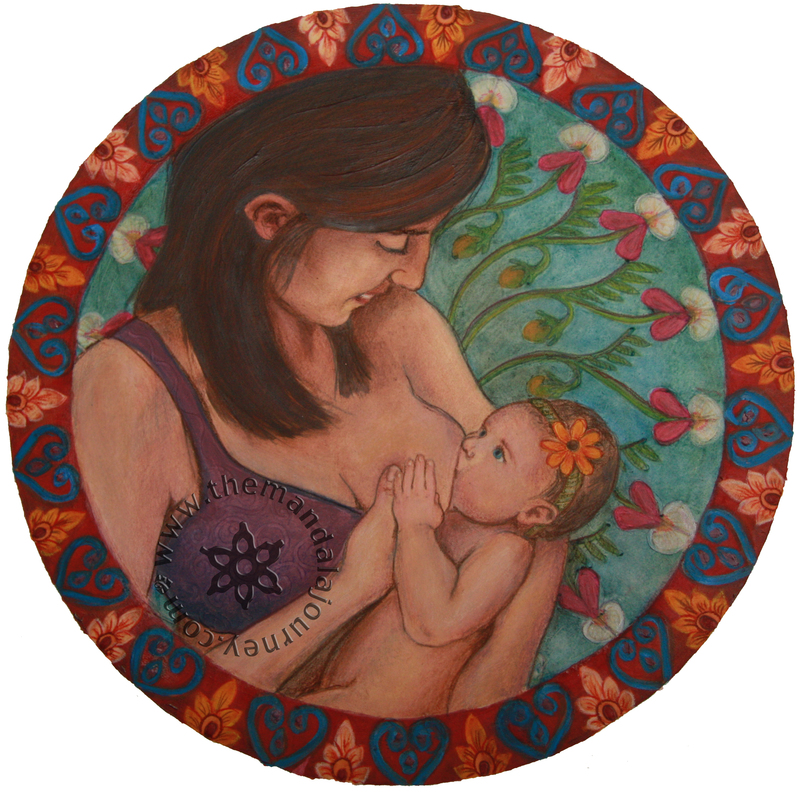 Here is a portrait I was commissioned to do by my good friend Brittany nursing her daughter. I think it’s a really touching picture! The pink and white flowers around the inside are Goat’s Rue, a common galactogogue (breastmilk production enricher).